It will probably cross the mind of virtually every one of the millions of viewers watching the 2016 Summer Olympics in Rio: “What if it were ME going for the gold?” Until now the idea of competing at the Olympics has seemed an impossible dream for all but an elite few. “A lot of people are surprised to discover that no matter how old or out of shape they are right now, they could be chosen to compete in the next Summer Olympics,” says Tag Goulet, FabJob CEO. Couch potatoes who dream of competing at the Summer Olympics could actually make their dream come true if they choose the right sport. Would-be Olympians may be encouraged to learn that: they can choose from among dozens of sports, some sports require more “mental” skills than “physical” skills, and financial support is available for athletes to train in their sport. 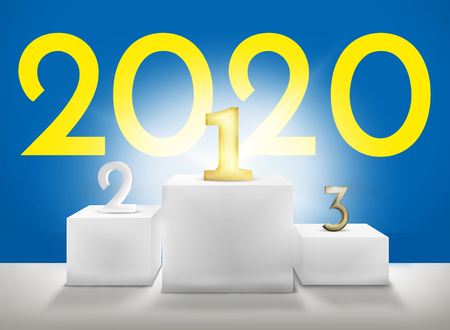 You may not have made it this summer, but it may surprise you to know that if you start preparing soon, you could be among the athletes competing in the 2020 Olympics. Don’t assume you’re too old or out of shape to make your dream come true. The oldest Olympic medalist was 72! Here are 10 steps you can take towards living your dream of becoming an Olympic athlete, based on the FabJob Guide to Becoming an Olympic Athlete, originally published by FabJob.com during the 2000 Summer Olympics. The first step is to determine what shape you are currently in. This will help you to select the best sport for you, as well as the training program you will need to follow. If you are 35 years old and your favorite activity is sitting on the couch with a six pack and a bag of chips, you probably aren’t cut out to become an Olympic gymnast. However, if you are willing to make a few lifestyle changes, there are a number of sports you could successfully compete in. You can get an assessment of your current level of fitness by visiting a local gym and consulting with one of the trainers. Many athletes select a sport based on what they enjoy doing and what they are good at. If you already have an athletic hobby, such as target shooting or judo, you are already one step ahead. If you are starting from scratch, you can find a list of Olympic sports by visiting the Tokyo 2020 site. If you are an older athlete, you are more likely to achieve success in a sport that focuses on mental skills rather than purely physical strength. Some examples of mental sports include: archery, canoe/kayak, equestrian, fencing, sailing, shooting, and table tennis. Once you decide which sport to pursue, you need to start developing your skills. Join a local athletic club or visit a recreation center so you can practice and take classes. Another good place to train, depending on your sport, is your local high school or university. A crucial step that will get you to the next level is to join your National Governing Body (NGB). The NGB conducts National Championships, maintains a National Team, and often supports various developmental programs for athletes. You can find the website for your NGB through the U.S. Olympic website. If you haven’t already started competing at the club stage, now is the time to do it. Your NGB hosts a variety of tournaments that start on the local level. It is important in many sports to build a national rating by competing at certain competitions. Your NGB will be able to tell you when and where you should be competing. This step should be taken at the same time as you start competing. A coach can help you develop your skills, so you can progress to the next level of your sport. A good place to start looking for a coach is your local training facility. The people who teach classes at the facility can recommend someone to coach you, or they may be able to coach you themselves. A training technique used by top athletes is visualization. According to one theory, if you see a perfect golf swing 1,000 times in your mind, its better practice than actually swinging the golf club 10,000 times. If you’re a diver, you can play out the entire sequence of a perfect dive in your mind. Imagine yourself climbing up the ladder, taking each step toward the end of the platform, launching yourself in the air, performing each flip and twist perfectly, and entering the water without a splash. Then see yourself coming out of the water to a roaring crowd, toweling off, and flashbulbs popping. The more detail you can add to your visualizations—including imagining any sounds, smells, and physical sensations—the better your visualizations will prepare you to achieve the result you want. At some point you may be ready to start training full-time, which means you will have to find a way to support yourself financially. Elite level athletes have several options including: attend college on an athletic scholarship, become a resident athlete at an Olympic Training Center, or obtain corporate sponsorships. Your NGB can give you information about becoming a resident athlete. You may be able to obtain corporate sponsorships through your employer, by contacting the marketing department of other companies, or by having a sports marketing agency contact companies for you. Most NGBs run their National Championships in a similar format to the Olympic Games so it will be good practice for you. Often, the National Team coach is present at the National Championships, and will be able to tell you what you need to do to make the Olympic Team in your sport. Many individual sports open their National Championships to any competitor who has achieved some minimum qualification at the local or regional level so you may have a better chance of competing than you think. Each sport has a different process for qualifying for the U.S. Olympic Team. Athletes in team sports (such as basketball or soccer) tend to be chosen by the national coaching squad via their national reputation, national ranking or through results at previous competitions. Some team sports also have an Olympic tryout. Athletes in individual sports (such as track and field or tennis) compete for a spot on the Olympic Team through qualifying tournaments or their national rankings. Once you make it to the Olympics, you have achieved the dream of a lifetime so enjoy the experience and go for the gold! Be a winner at life when you pursue your dream career. Get insider tips and strategies you can use to succeed in each unique FabJob guide. Find out more on our site www.fabjob.com. "I just finished your e-book and found it to be informative, lively, and encouraging. I've been researching this field for a few months now, but I found new information and suggestions that were very helpful." "What a surprise! The guide was more than I ever hoped for with tons of information about everything you might need to start a new business. You sure get a lot for your money." "I just purchased your e-book and it is fantastic! There is so much information that I couldn’t find anywhere else searching the Web. This was definitely a great investment!!" "Let me congratulate you on the absolute best guides for ease-of-use and best supported sources! The writing style is at an appropriate level, very clear, and easy to understand. They are really effective guides and give you the guidelines for your dream career." "Thank you so much for all the outstanding information. I am in the process of changing careers and your guide has been very helpful in getting me started." "This is one of the best books I have ever read. It is complete, simple and helped me a lot for establishing and launching my company. I will recommend people come in your website if they are looking for a dream career." "I'm currently an English teacher in South Korea (returning to the States in a few months), so ordering a quick and simple ebook from FabJob.com prevented the hassles of having to order overseas. FabJob.com has given me the confidence to dive in, just like I've always wanted to, whereas before I felt shaky and without a mentor. I'll always go through this ebook for future questions especially during my first year. Thanks!" "Thank you for the very hard work obviously put forth and the extensive research that must have been done to compile such an in-depth and relevant guide. I recommend fabjob for anyone who wants out of the rat race and to be out on their own." "I purchased the e-book three years ago and I have since started my own company. The book has been my living guide especially in my first year of operation. In many ways, I could not have gone through the starting year without it. This year I am expanding my operation and I was panic stricken for a while to find out that I lost the e-book. I wrote to FabJob about it and in less than an hour I received another copy of it. Congratulations to FabJob! You have great books and your customer service is amazing." "This Fabjob Guide has taken my dream to a reality. After reading this guide I was truly inspired. I have jumped feet first into my new business. I am thrilled, and thankful that I have found Fabjob guides to initiate my journey to true success. Thank you so much!" "I just downloaded your manual (yesterday) and can’t tell you how helpful it’s been to me. I have had the most difficult time finding resources so stumbling upon your web-site was striking the lottery for me. I can apply just about every great tip to my own job search. Thank you so much for this valuable resource!" "Before reading the guide I was curious about getting into the field, but after reading the guide I am CONFIDENT! This guide answered every question I had and provided information I would have never thought of. I am meeting with my business partner this week to lay the plans to our new business and I have FabJob to thank for gathering what I needed to know in one reference. THANK YOU! THANK YOU! THANK YOU!" FabJob is the leading publisher of dream career guides with over a half-million satisfied customers on six continents since 1999. Focusing on popular careers that don't require a college degree, a FabJob guide can save you many hours of research, help you avoid some costly mistakes, and give you the competitive edge you need to get started and succeed in your dream career. Find the guide to your dream career. © 1999 to 2019 FabJob Inc. All Rights Reserved.